Time for another Batman Incorporated design. 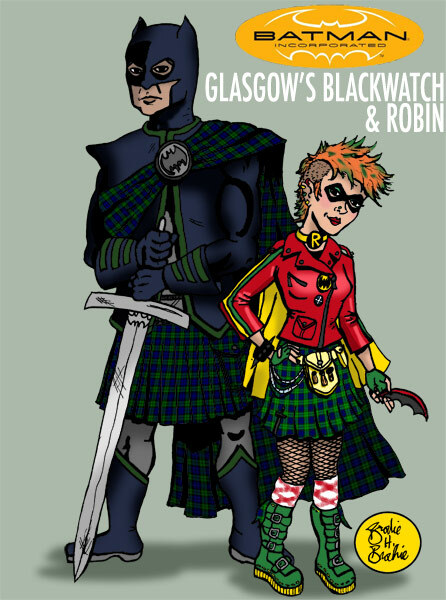 This time, we head to Scotland for Glasgow's Blackwatch and Robin. I know, I know! I told Robin that hairdo is a terrible idea if she wants to keep her secret identity secret, but she just wouldn't listen. Hey, at least I got her to not wear the Gordon clan plaid. I wonder if these two ever team up with Scottish Superman?